Brian John «B. J.» Cole, born 17 June 1946 in Enfield, Middlesex, England, is an English pedal steel guitarist, who has long been active as a session and solo musician. Coming to prominence in the early 1970s with the band Cochise, Cole has played in many styles, ranging from mainstream pop and rock to jazz and eclectic experimental music, but has never forgotten the instrument's roots in country music. 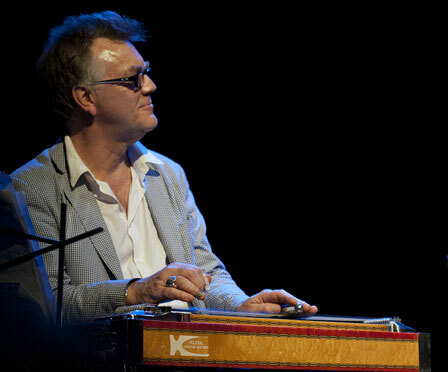 Through his varied and extensive session work and long career as a performer, he has come to be regarded as Britain's pre-eminent pedal steel guitarist. Cole also plays lap steel and dobro.